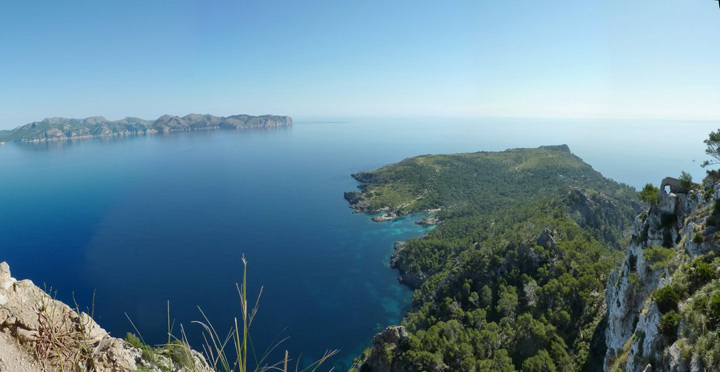 At the north coast of Mallorca (Alcudia), at the end of the peninsula des Pinar, which separates the bays of Alcúdia Pollença. Along the perimeter of the Cap des Pinar peninsula, is the coast rough and rugged, with prominent cliffs in some places. 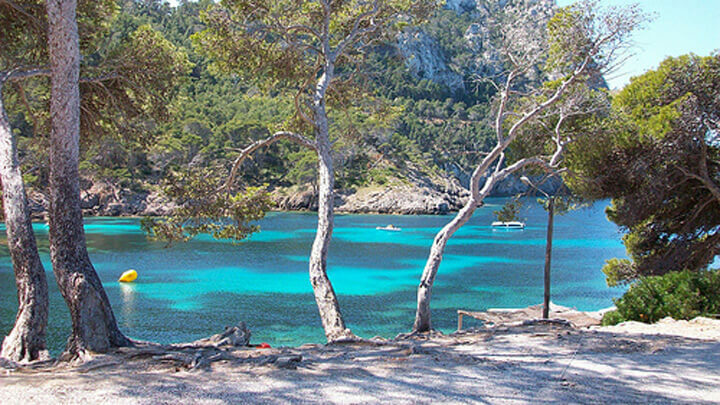 From the sea you can see a charming little corner of fine sand surrounded by lush and beautiful pine trees. Among them it appears semioculta a cove (Sa Caleta des capità) only 25 meters long and 20 wide. 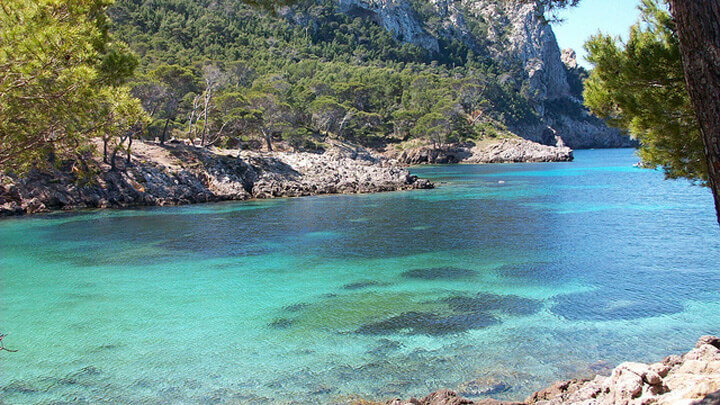 Shades of blue-green waters invite us again and again to swim and enjoy the idyllic natural spot in the middle of the Mediterranean.